Under the Pradhan Mantri Kaushal Vikas Yojana 2016-20, as on 24.01.2019, 37.32 lakh (appx.) candidates have been trained under Short Term Training (STT) (25.25 lakh), Recognition of Prior Learning (RPL) (11.27 lakh) and Special Project (0.8 lakh) in various sectors across the country. 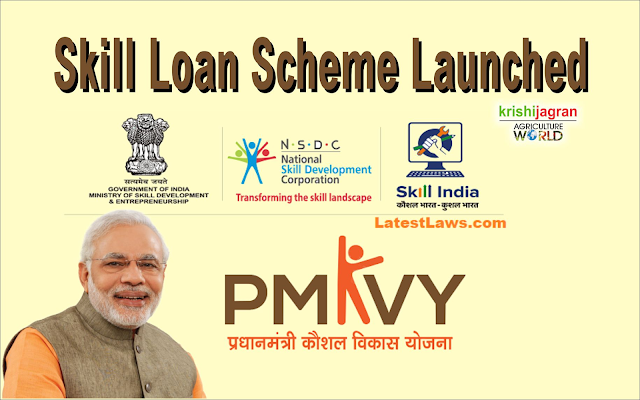 Government of India has launched “Skill Loan Scheme” with a view to support youth by providing a loan facility to individuals who intend to take up skill development courses as per the Skill Loan eligibility criteria. Skill Loan Scheme is applicable to all the member banks of Indian Bank Association (IBA) and any other bank and financial institution including Micro Finance Institution regulated by Reserve Bank of India (RBI). Bank of India being the lead bank of Ministry of Skill Development & Entrepreneurship has been the first bank to notify and implement such a Skill Loan Scheme. The Loans are available in the range of Rs.5,000/- to Rs.1,50,000/-. As per the information collected from IBA, during the financial year 2017-18, a total amount of Rs 29.06 crore was disbursed against 3551 number of accounts. Further, during the FY 2018-19 (till Dec’18) a total amount of Rs 19.46 crore was disbursed against 2429 accounts. This Information was given by Union Minister for Skill Development and Entrepreneurship Shri Dharmendra Pradhan in a written reply to the Lok Sabha.